Less than one week until Christmas and I’m finally starting to get in the holiday spirit. There’s something about being in the kitchen that brings it out in me. I’m able to recharge and relax offline and use my creative energy in other ways. 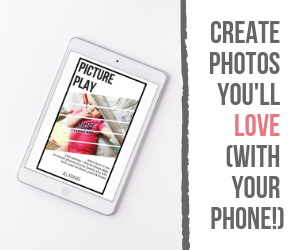 The kids are out of school for 2 weeks and a little time in the kitchen with mom will entertain them for a few minutes at least…and keep them offline as well. Today we decided to make some breakfast cookies for the coming week. This post is sponsored by Stonyfield Yogurt & Nature’s Path Organics. I absolutely love oatmeal cookies and peanut butter cookies, so I decided to see how I could tweak some of my favorite recipes into something a little more healthy for breakfast. 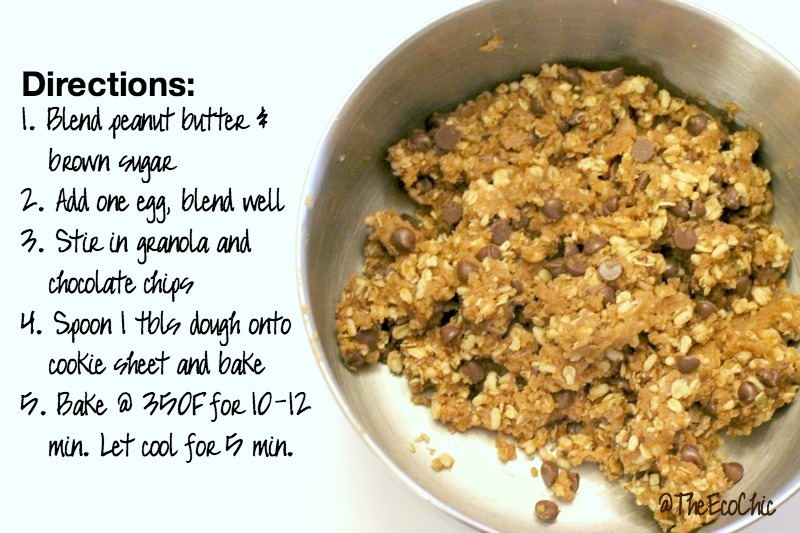 Breakfast + cookies = easy mom trick to get your kids to eat something good! 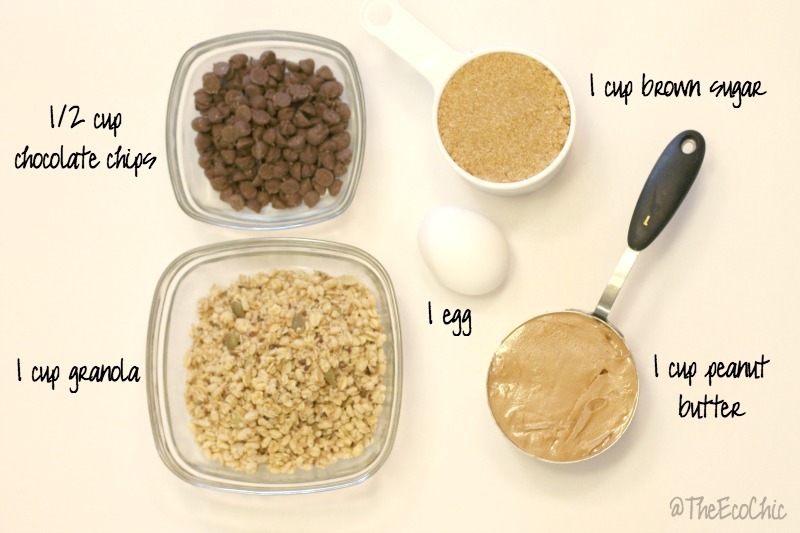 The ingredients are pretty simple; 1/2 cup of chocolate chips, 1 cup Nature’s Path Pumpkin Flax Granola, 1 egg, 1 cup brown sugar, and 1 cup of peanut butter. I almost always have all of these ingredients in my pantry or fridge, so it’s an easy recipe to make year-round. While you could use your stand mixer for this, I blended all the ingredients by hand because I didn’t want to pull out any more appliances today. Everything mixed very well by hand. Blend Peanut Butter and Brown Sugar in a bowl. Add one egg and blend well. Stir in the granola and chocolate chips. Spoon 1 tablespoon of dough onto a cookie sheet and bake. Bake # 350F for 10-12 minutes. Allow to cool for 5 minutes. The cookies will be soft and almost crumbly, so cooling is essential. You can easily edit the recipe to omit the chocolate, add dried fruits or nuts, etc. 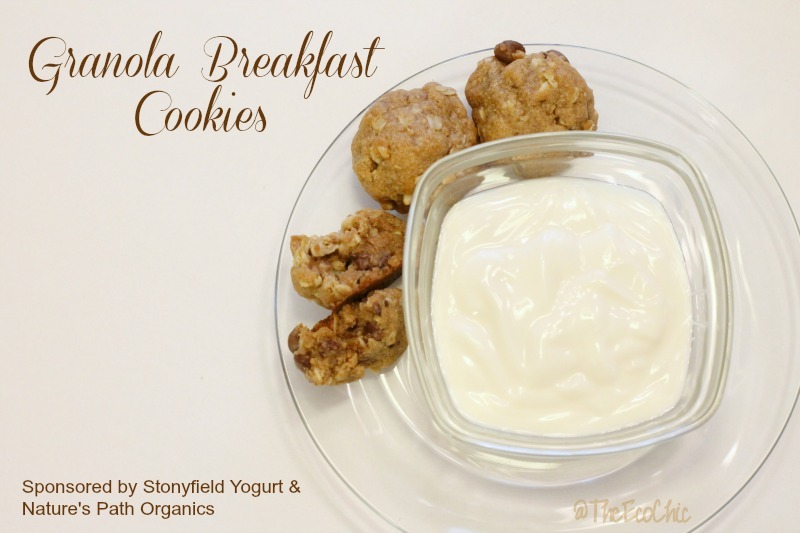 I served the cookies with a bowl of Stonyfield Vanilla Smooth & Creamy Yogurt to balance the sweetness of the cookies. I love that they are packed full of protein which my kids need in the morning since they aren’t big breakfast eaters. This week should be fun trying to finish up my last minute Christmas shopping with the kids out of school and trying to balance working too. My husband is traveling for work part of the week, so it’s just the kids and I. This will be the first Christmas in a while that we may not all be together on Christmas morning. We really won’t know until Christmas Eve if he’ll make it home or not. Thankfully the kids are old enough that we can make it work. How are you spending your week? Disclosure: This post is sponsored by Stonyfield Yogurt and Nature’s Path Organics. The recipe is original and features products provided for review/feature in this post. All opinions are my own.